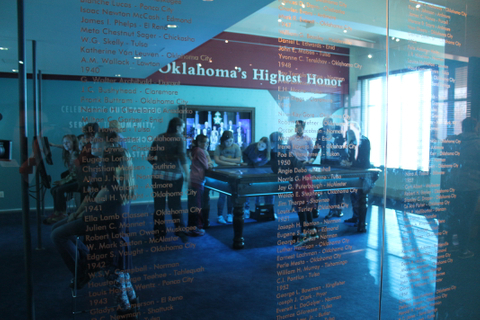 Step into life-size, gilded frames and be inspired by the contributions of the members of the Oklahoma Hall of Fame. Our NEW interactive experiences include In the Cockpit, Energy, and Superstar Spotlight. This hands-on exhibit will inspire you to change the world! Thanks to our friends at OERB for supporting the Energy experience! 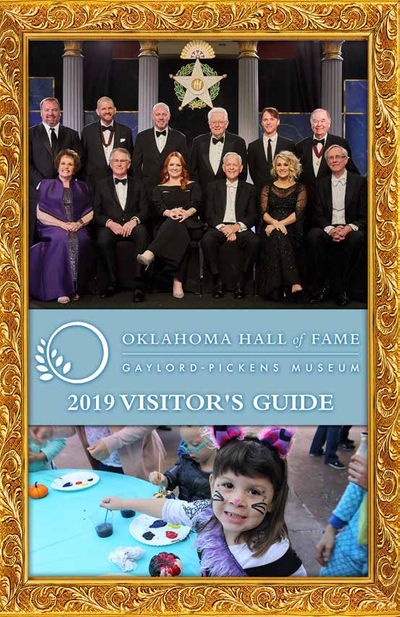 You can now explore all Members of the Oklahoma Hall of Fame that have portraits in the Gaylord-Pickens Museum. After you connect to our FREE wi-fi connection, use your smartphone to go to the website www.reveel.it and you will be prompted to scan the portrait. It will then connect you to a biography, photos and other multi-media links that will allow you to learn more about these amazing Oklahomans. For Reveel.it Terms of Service and source material disclaimer, click HERE. Through video-driven displays, explore how the Oklahoma heritage is attributed to the accomplishments of people like of people like Maria Tallchief, Mickey Mantle, Ralph Ellison, and Will Rogers. Oklahomans paint a picture of the state’s history in their portrayal of the five characteristics of every Oklahoman—perseverance, pioneer spirit, optimism, generosity, and individualism. Gather to create, invent, and learn in our NEW experiential space featuring STEAM hands-on activities. Explore Oklahoma’s identity in the colorful and intricate Kris Kanaly Makerspace Mural. The Chesapeake Oklahoma Theater showcases public films and short subject videos, by or about Oklahomans. This beautiful space may also be reserved for private events. Explore the Legacy Map and learn what it takes to be awarded the state’s highest honor, induction into the Oklahoma Hall of Fame. Meet the newest class of inductees and research biographies of the 691 members of the Oklahoma Hall of Fame. The Story of the Portraits exhibit displays seven unique and diversified Oklahoma Hall of Fame members’ portraits, accompanied with archived documents that describe their stories and the process by which we have secured their portraits into the collection. 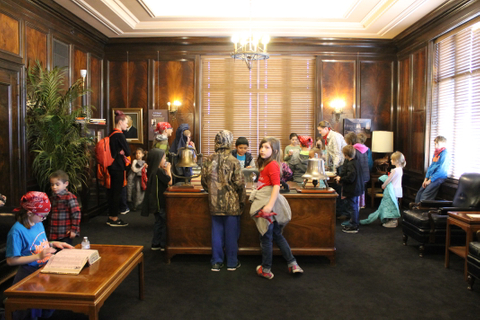 Step back in time and learn the building’s more than 90 year history in the original office of R.T. Stuart, founder of the Mid-Continent Life Insurance Company and Oklahoma Hall of Fame Member. This room features all original furnishings.